Perspectives matter a lot. If you think you know what design thinking is about, read it and think again. Who can design? For too long, that question has highlighted the supposed division between right-brain dominant “creative types” and left-brain dominant “analytical types.” Such a division is not practical for preparing students to become innovative contributors to the complex world of design. 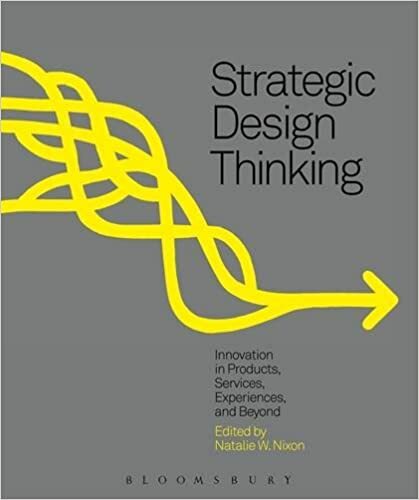 Strategic Design Thinking guides readers to cultivate hybrid thinking, whether their background is design, finance, or any discipline in between. This book is an introduction to an integrative approach using the lens of design thinking as a way to see the world. The focus is on process instead of solution, and on connecting disparate ideas instead of getting bogged down by silos of specialization. Through this book, students will be introduced to design management, strategic design, service design, and experience design. This book guides readers to cultivate hybrid thinking, whether their background is design, finance, or any discipline in between. Just got this book, kind of a collection of articles about design thinking in a business context, written by academics alike. It’s often easy to claim that design thinking is this or that, and it’s tempting to believe that there are proven ways to design thinking, as some books and consultants claim. In a book about marriage and divorce I’ve been reading recently, the author talks about marriage consultants and says: just because it isn’t scientific, doesn’t mean it doesn’t work. That describes the literature of design thinking perfectly. If we zoom out and look at the landscape of both practitioners and academics, we find multiple perspectives and ambiguities. Design thinking is not any single method, process, framework, or theory. Maybe design thinking should really just be called hybrid thinking, where disciplines come together and different things work the best in different contexts.